When people talk about RVs, they’re often talking specifically about the Winnebago, a brand that’s become synonymous with the recreational vehicle. Their reputation precedes them as they’ve become the most trusted RVs available. Coopers Auto Repair Specialists shop in Tacoma, WA does all maintenance and repairs for your Winnebago. Our auto techs are the RV specialists that you can trust. 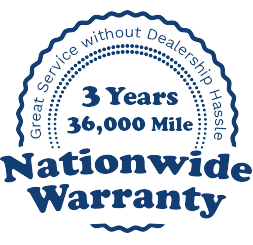 Any repairs, maintenance, or valuable counsel that we provide will always add value to your RV and the manner in which you use it. Your Winnebago is a vehicle that requires specialized attention if you plan to keep for a while. When you bring your Winnebago repairs and maintenance to Coopers Auto Repair Specialists you’ll receive nothing but the best in service. We guarantee our customers’ satisfaction, using the most advanced equipment and tools to bring successful results. Maintaining the quality and the premium condition of your Winnebago is our sole focus. Our technicians will keep you on the road and help to monitor and maintain your Winnebago throughout its life. You can tell how serious we are about your Winnebago’s service by the caliber of technicians we place on the job. We understand that Winnebagos are used for a number of purposes and activities, and that they are all important to our customers. We service your RV so you can continue with all of your planned outings. We also prevent any future repair needs with a careful, consistent, and thorough maintenance plan. Stop by Coopers Auto Repair Specialists for any of your RV services. Our oil changes and lube services will keep your engine running efficiently and help maintain good gas mileage for those long road trips. The occasional tune up is always a good idea before traveling. In case you have a more serious problem, such as transmission trouble, we can handle that too! As well as a complete list of services. Winnebago owners in Tacoma, WA have a specialized technician nearby with an impeccable reputation. Visit us today at one of our locations in Tacoma, WA, visit us online, or give us a call at (253)466-3917 to schedule an appointment.